An HR team can make all the difference in the internal success and versatility of a business. From hiring the most qualified talent to maintaining a strong and healthy company culture, HR reps play an integral part in thriving organizations. In order to create a dream team with a unified mindset towards growth and success, certain practices must be instilled within the day-to-day. Curious to what they are? Read on. Big data is making huge strides in the business realm and is revolutionizing the way that nearly every department approaches their tasks. Tools like predicative analytics, machine learning, and AI allow decision makers to accurately assess pros and cons before making final decisions. In the HR department, access to this type of information is crucial to maintaining a strong successful company. One area of HR that can be vastly improved with data analytics is the recruiting and hiring process. The hiring process is longer than ever these days; it now takes an average of 28.1 working days to make a final hiring decision, a number that has been steadily increasing over the past several years. Since hiring decisions are so important, it is crucial that recruiters have enough information to help them choose the right candidate. Data-driven recruiting resources can automate the tedious pre-qualification process by scanning resumes and finding ideal matches. By making data a key part of the decision making process, HR teams will be able to make faster and more accurate choices for who they bring on board. This is, of course, not just limited to finding new talent; data-driven systems can help assess performance management and guide strategies to improve employee engagement overall. However, it is important that HR teams do not get too wrapped up in just the hard data; there will always be a people part of data analytics , too. Data is simply here to guide evaluations, but it is ultimately up to HR to make the final call. Staying on top of key recruiting trends is important if your HR team is going to stay relevant and connected to the best talent pools. This is especially true for companies that are trying to connect with the younger workforce, particularly millennials, who are more likely to incorporate social media into their job search. Social recruiting is a trend that appears to be here to stay. In 2016, a whopping 67% of job-seekers used Facebook in their job search. In order for your recruiting team to be sure that they are reaching as many potential candidates as possible, they must be comfortable and confident with social media as a recruiting tool. While LinkedIn still remains at the top of the list for sites used, Facebook and Twitter can’t be ignored at all. Socially savvy recruiting is not just about listing jobs on Facebook, however. It is also about building positive employer branding on social media to attract talent. 59% of candidates research a company on social media before they apply or go in for an interview, so HR teams also need to be actively using these platforms to share company information. When a brand actively shares content that tells stories about the company culture, employee experiences, or that communicates the business’s values, candidates tend to feel more confident to pursue the opportunity. This type of strategic content marketing is highly effective when it comes to connecting with great talent. An unorganized HR team will find it much more difficult to stay up with daily demands and projects, obviously. This doesn’t just mean that each HR representative should have a clean desk and a neat filing system; true organization is department-wide. A good team needs to find a sustainable system that ensures consistent progress. Of course, technology has made it much easier for teams of all shapes and sizes to stay connected and organized, no matter what the task at hand may be. For HR teams, there are several key areas where tech tools can make a huge impact. 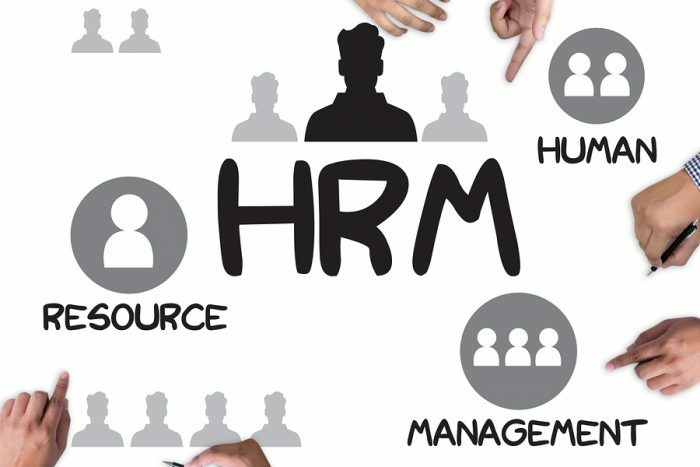 One major HR responsibility that requires careful organization is handling payroll and other sensitive financial information. Keeping track of information related to benefits, salary, and PTO requires smooth processes. Most HR management systems — which come in a price range for almost every size employer — combine important employee information into one system to make everything easier to keep track of. At a glance, managers and HR staff can see such important information as time off requests, vacation, benefits, salary history, and even personal goals for each employee. Another key area of focus for HR teams is maintaining a healthy culture, which is often done through performance management and feedback. Unfortunately, many HR teams do not have a clear system to stay organized in this matter. A 2015 survey found 9-in-10 HR leaders saying their current process doesn’t yield accurate information. Using an online system to track performance and improve engagement levels can keep teams organized and bring about better results. Most of these systems combine multiple sources of feedback to track individual performance or overall engagement levels. Pulse surveys are one popular method of staying current with employee concerns, allowing HR keep track of changes and address potential issues early on. HR departments must go beyond the filing cabinet to be truly effective. While tech tools are a great place to start, be sure that each system provides clear benefits and simplifies processes, rather than making things more complicated. Turning your current HR department into a dream team of sorts will require hard work and determination. After all, each task and responsibility must be evaluated and altered in order to make it worthwhile in the long haul. By adopting better practices in the key areas of decision-making, recruiting, and organization, your HR department can be well on its way to becoming the team of your company’s dreams.